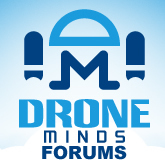 Use this forum to share you First Person View setups and ask questions about FPV and racing drones. Drone Racing, Big Business in Small Drones. Introducing DJI's Spark: DJI's Racing Drone Offering Mavic Size? Will DJI dominate the FPV scene? Wow, this 220 FPV race drone looks great!